Cheshire House01433 623225work Bed & BreakfastCheshire House Bed is situated in the heart of the historic village of Castleton, which is famous for the show caverns of Blue John and Peveril Castle. We aim to provide friendly yet unintrusive hospitality allowing guests to enjoy their stay at their own pace. We offer two tastefully furnished double bedrooms. Both bedrooms have ensuite facilities, along with colour TV, tea and coffee making trays, and other extras to make your stay as enjoyable as possible. There are a number of pubs and tearooms within easy walking distance. Castleton is the ideal base to discover the surrounding Peak District, and its spectacular scenery. Cheshire House is the perfect base for walking, with walks starting from our driveway, or within a few miles radius. 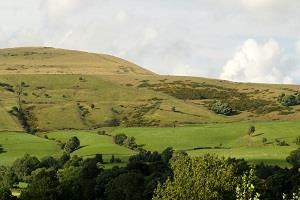 Castleton is ideal for walkers, cyclists, climbers, cavers hang-gliding and even paragliding.